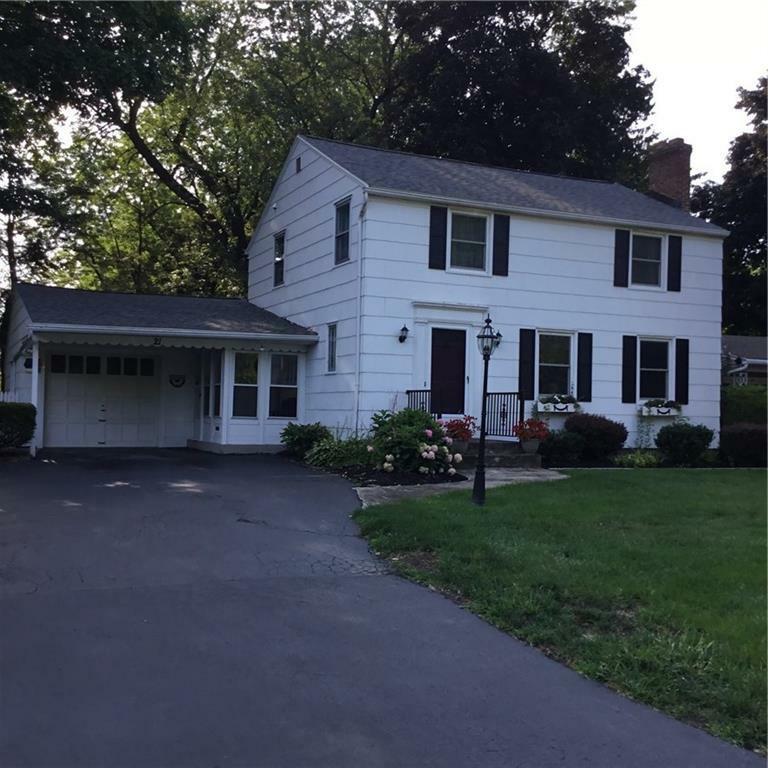 Charming Colonial in sought after Orchard Park area. Hardwood floors, newly remodeled bathroom, new roof (2 months) new dishwasher, dryer, windows, H20, freshly painted Bdrms & ceilings, etc. Custom built-ins in Liv Rm. Curl up next to your fireplace in wintertime and in the summer enjoy your private deck & yard and fire pit. All bedrooms are nicely size with double closets with a freshly remodeled beautiful gray and white themed bathroom. Formal dining with hardwood flooring overlooks the very versatile Florida room/Office/Family Room which leads to your oversized private dbl decker deck. There is an adorable half bath on the first floor as well as a charming breezeway with whimsical flooring. Convenient location with a fully fenced yard and lots of privacy! Directions To Property: Off Empire Blvd. Bear Left After Turning Onto Orchard Park. Nearest Cross Street: Empire Blvd.